As the saying goes ‘Food for the body is not enough. There must be food for the soul‘. 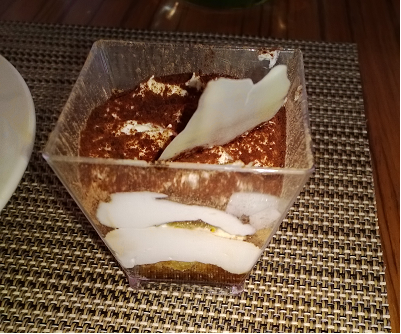 Kava – Fairfield Inn by Marriott offers the same. When I was invited for a Sunday brunch, I was very excited to savor it. With so many restaurant’s in Bangalore I was eager to know what can Kava offer me which would be different from other restaurant’s. The idea of indulgence on a lazy Sunday, while catching up with friends and spending quality time with family after a hectic week seems to be irresistible. 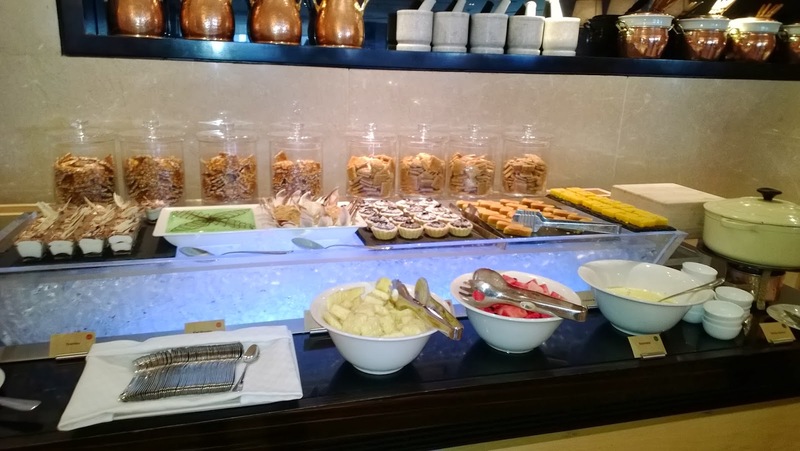 With its vibrant Sunday Brunch, Kava offers you the perfect option to make your Sunday a delightful affair. 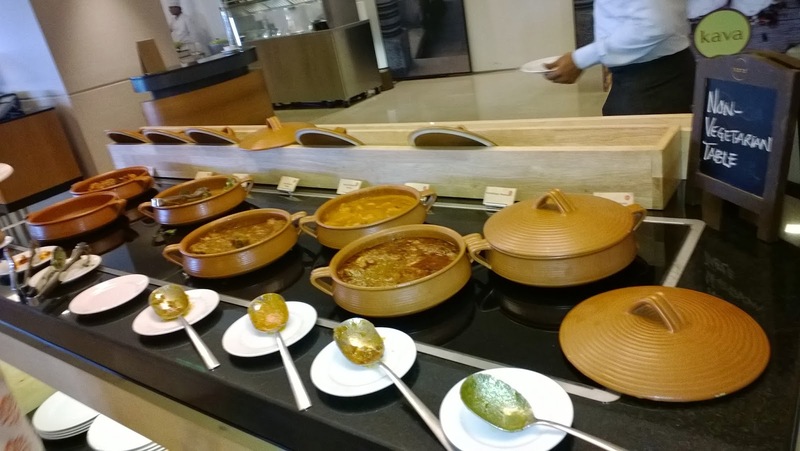 The Sunday brunch is a flamboyant spread of Indian and International dishes off the street. 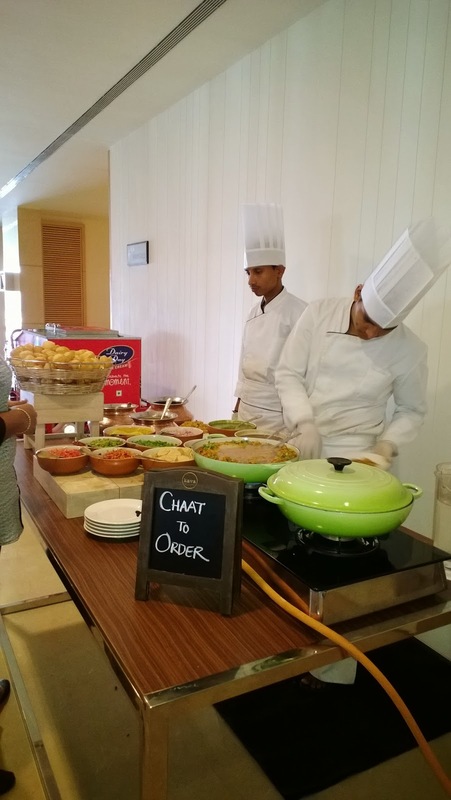 Choose from a menu that consists of traditional kebabs, crispy Indian and Western salads, delicious kati rolls, chaat and a live counter preparing fresh burritos and pasta for you and your companions. Unwind with your choice of sophisticated and hand crafted spice-infused cocktails and mocktails straight from the lounge bar. 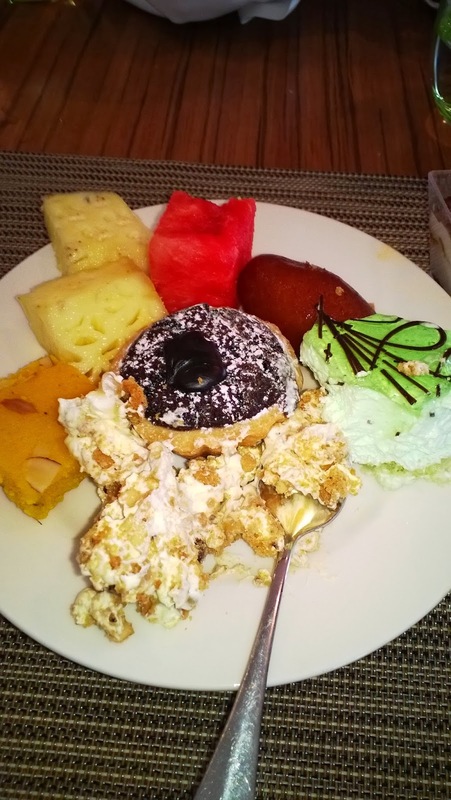 Add a saccharine pinch to your brunch feast and indulge in some desserts at the ice cream bar or take your pick from the varieties of Indian and western desserts. 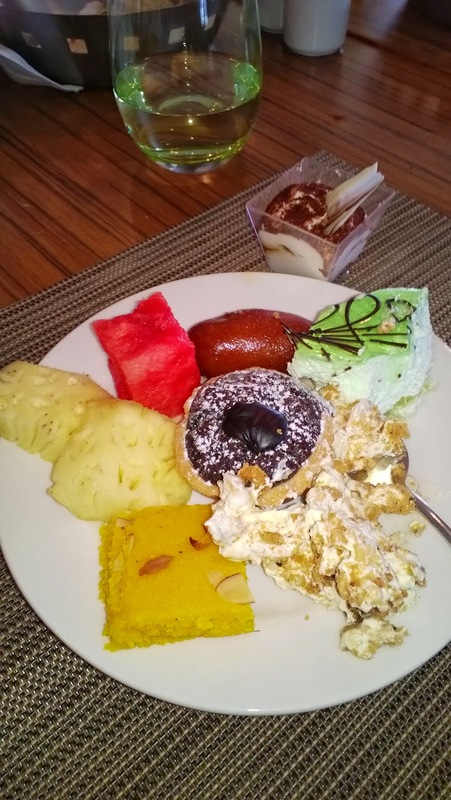 To start with, there were so many options to choose from that I was in a dillema if I was supposed to just look at the food and fill my stomach or even try it. I quenched my thirst with a peach iced tea as I am very fond of iced tea’s. 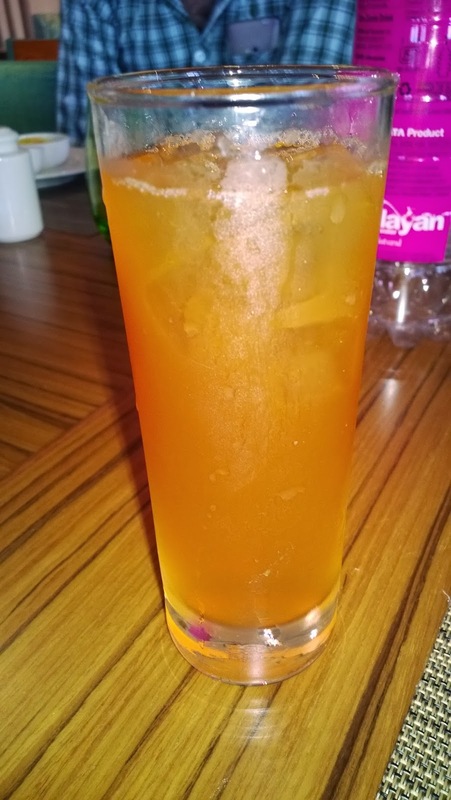 The iced tea was perfect with taste and ice which made me ask for more of it during my meal too. I started my meal with salad’s. 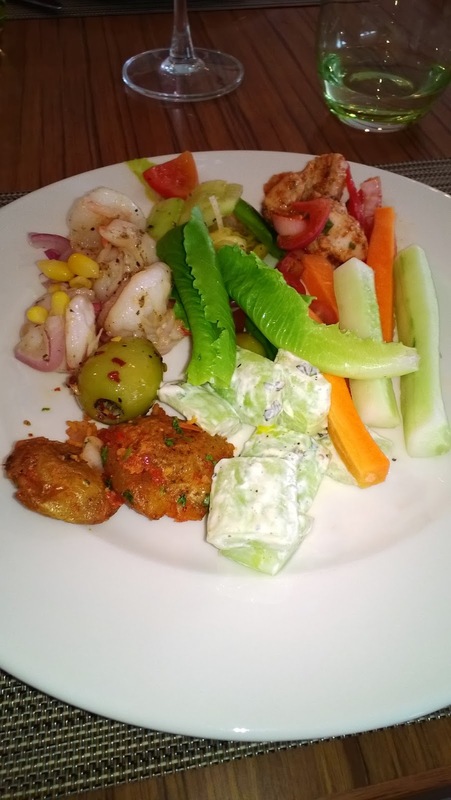 I prefer healthy salad’s which contains lot of vegetables like cucumber, olive, lettuce, etc but being a hard-core non vegetarian, I tried the Chicken tikka salad and grilled prawn salad. I was very amazed with the prawn salad as it was very well cooked and with very less ingredients in it, it tasted well. Hands down to the prawn salad. There were other healthy salad’s too like roasted almond salad, Insalata caprese which were good too. 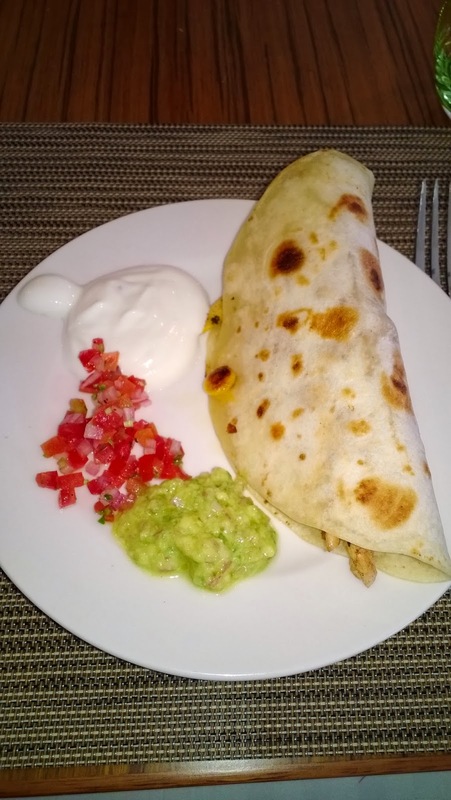 I then went ahead with Quesadillas which the chef cooked it to my taste. The salsa’s and mayonnaise went well my dish. I also tried my hands on the chaat. Dahi puri, pani puri, bhel puri and the list goes on. 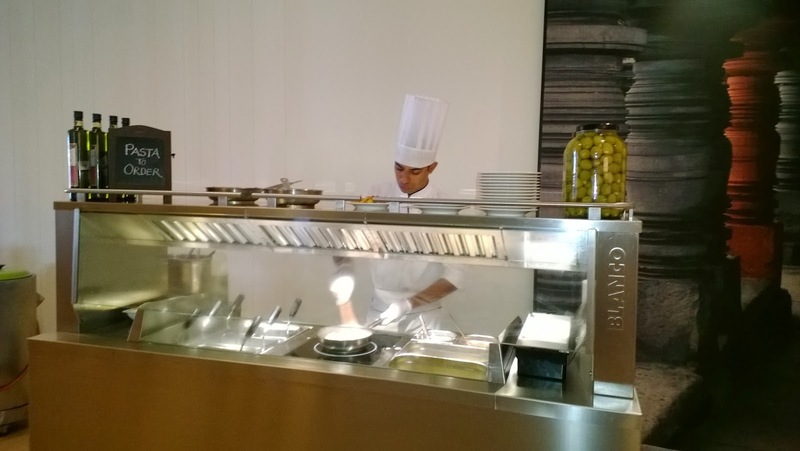 I did not feel like leaving the counter but I was forced to leave as I did not want to miss tasting the other dishes. 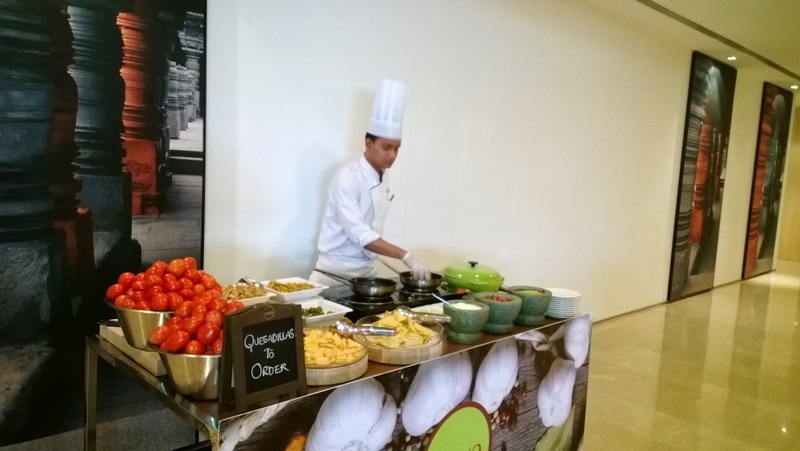 The live pasta counter at the lobby of the restaurant along with Quesadilla and chaat were good too. I tried a pasta with white sauce which has always made me fall in love with pasta every single time. For the main course, there was so much of variety in vegetarian and non-vegetarian table. I chose to have the non-veg first. 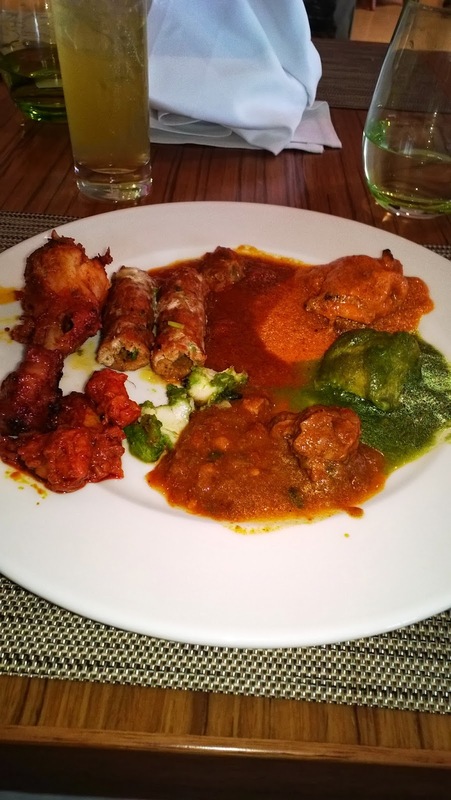 My picks were Murg malai kabab, lal murch ka murg tikka, lamb seekh kabab, fish tikka, etc. 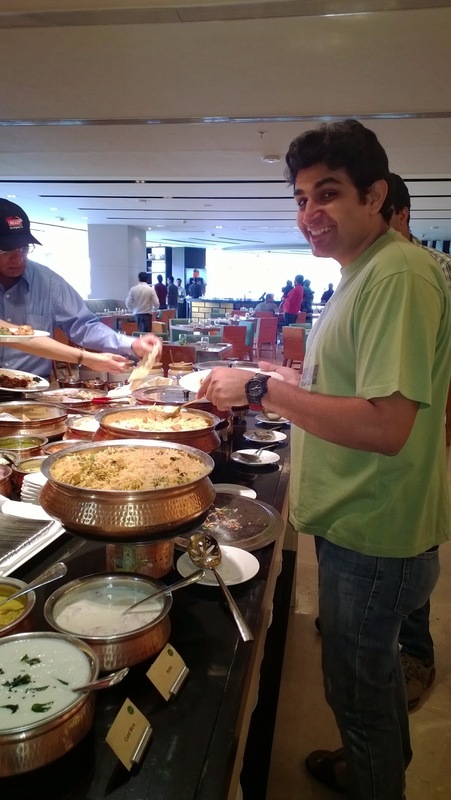 From the vegetarian table i chose karare paneer, baby corn Amritsari, etc. I had to save some place in my tummy for Kava specialities like Kava signature dal, lamb rogan josh, Miloni tarkari, biryani’s etc. 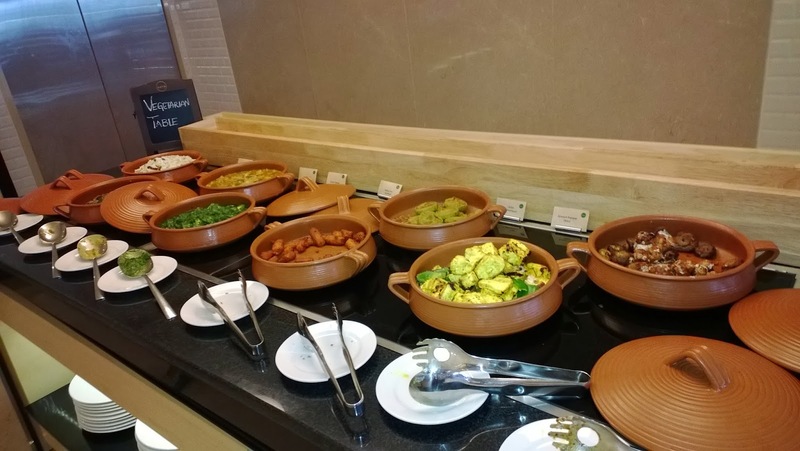 There were live counters for dosa, appam, noodles, quesadillas and pasta too which one could get it made to their taste. Live music which was being played lightened our lazy mood and it added to the aura of the restaurant. 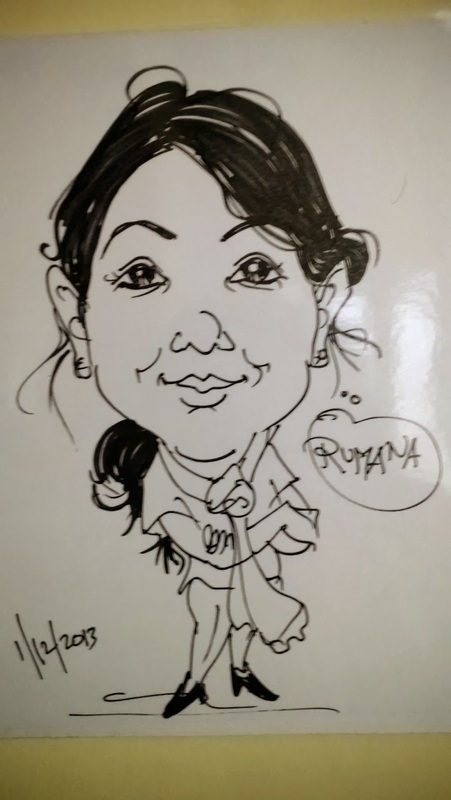 It was nice to have a caricature artist at the restaurant. 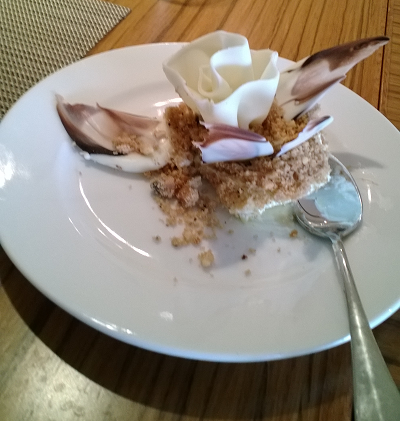 It was a gastronomical experience at KAVA. A must visit for this amazing restaurant. Very economically priced and satisfying too, this is KAVA for you.